Dances With One Light | Montizambert Photography Inc. Learn how to create incredible portrait and fashion/glamour lighting using only one light in six in-depth photo shoots by international lighting wizard Dave Montizambert. Dave shows how he forces one light to do the work of two to four lights. 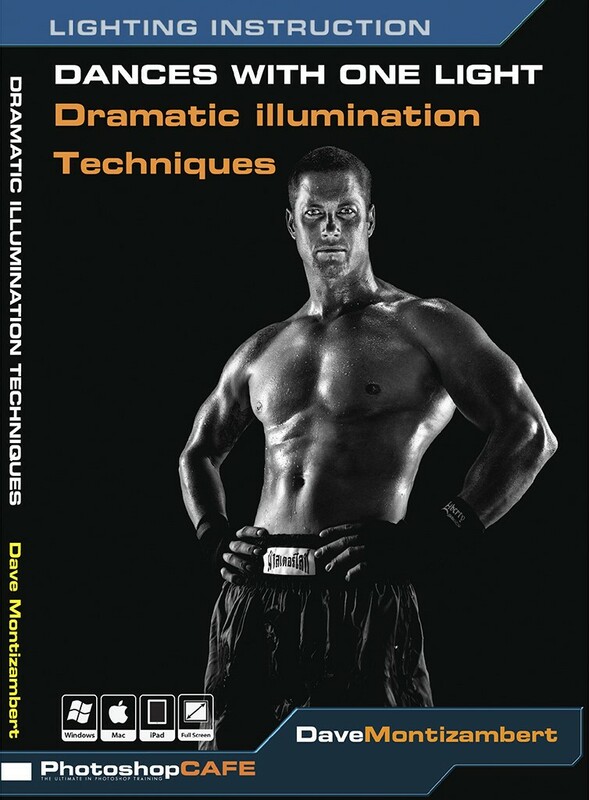 He also simplifies and makes easy—for even the most nontechnical mind—the necessary lighting theory and concepts that are requires knowledge for any lighting job. No fluff here, just solid nuts and bolts lighting information that every photographer should know! During the six shoots, you will have an over-the-shoulder view from many angles of the one-light-lighting-setups as they unfold. You will see exactly where each piece of equipment is placed and why, plus you will see in Dave’s patented intricate lighting diagrams exactly how it all comes together, and the principles involved that drive the shoot. 20% discount before shipping & taxes directly from author.